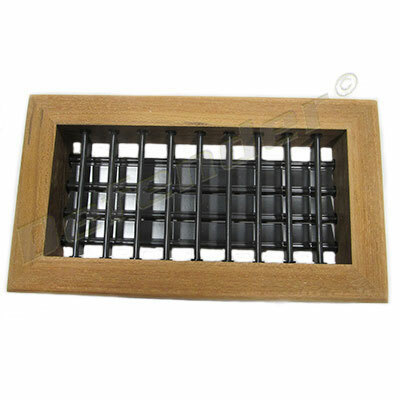 5010233A = 6" x 6"
Install the supply air grille as high as possible in a location that will provide uniform air distribution throughout the cabin. Grille louvers should be directed properly for best air flow. 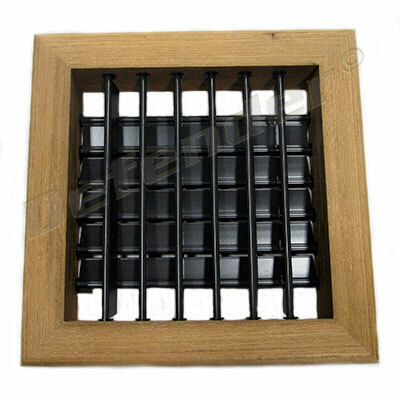 The return air grille should be installed as low and close to the air conditioner as possible to insure direct uninterrupted airflow to the evaporator. 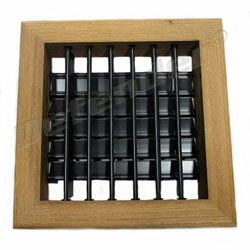 The return air grille should have a minimum four inches (4”) of clearance in front of it, free from any furniture or other obstructions. In no instance should a supply air discharge be directed towards a return air grille, as this will cause the system to short cycle. Allow for adequate clearance behind the supply air grille(s) for the transition box and ducting connection. Good airflow is critical for the performance of the entire system. It is highly dependent on the quality of the ducting installation. The ducting should be run as straight, smooth and taut as possible minimizing the number of 90 degree bends (two tight 90° bends can reduce airflow by 25%). If a transition box is used, the total area of supply air ducts going out of the box should at least equal the area of the supply duct feeding the box. To calculate the square inch area of a round duct, multiply the radius by itself (r2) and multiply that number by 3.1416(π).